As many of you enjoy the day off at home and watch some of the MLK day games, we get a look at a shoe that celebrates many of the ideals that Dr. King stood for. 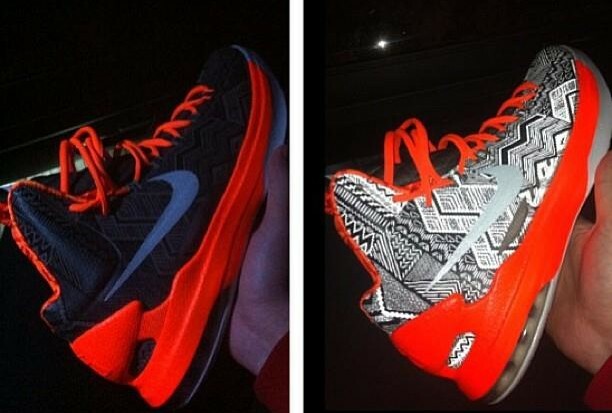 The Nike Zoom KD V “BHM” is part of the 2013 Nike BHM pack and is done with the same patterns and orange accenting that other shoes in the basketball pack share. The real eye catcher here is the use of 3M for the upper which really shows off the details when viewed with flash. Let us know your thoughts, and if the addition of 3M makes these a must have.